Telstra now has agreements to deliver exclusive access to 5G commercial smartphones in the first half of 2019, thanks to partnerships with some of the world’s biggest brands. Telstra CEO Andy Penn today confirmed the partnerships while speaking to media at CES, the world’s largest consumer technology show, in Las Vegas. “The 5G revolution is now very real. More than 200 Telstra 5G mobile base stations are now online across the nation and our customers will very soon be among the first in the world to experience the possibilities this revolutionary technology can deliver,” Mr Penn said. “Much faster downloads, high resolution video streaming with less buffering and mobile gaming on the go are just the start of what 5G is capable of delivering. 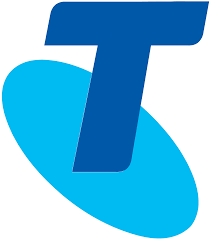 Under the partnerships, the smartphones will be available exclusively through Telstra before any other Australian mobile operator when they are released in the first half of 2019. “We are committed to ensuring our customers get the best technology and deals on Australia’s best mobile network. We continue to hold discussions with a number of device manufacturers and we look forward to making further exciting announcements in the near future,” Mr Penn said. These latest achievements also follow Telstra’s recent announcement that Ericsson would be its key 5G partner under an agreement that will see the two companies partner to deliver the next generation of mobile technology for Australia. Telstra’s rollout of 5G is the culmination of its investment of around $8 billion in its mobile network over the five years to 30 June 2019 to enhance the capacity, capability and reach of Telstra’s network. *All references to Australia’s fastest mobile network are based on national average combined 3G/4G mobile speeds.